The Company “Palm Beverage Ltd.” is a hypothetical start-up company established on July, 2009 with a view to make the busy life easy and comfortable ensuring the best quality food products available in convenient form. We will try to market this product in international level, depending on the analysis of controllable, uncontrollable and other factors. As we are trying to market it internationally, we must consider the domestic and foreign environment. Legal situation means the rules and laws of a country. This situation influences each and every business sector. The economical threat will also influence our business sector. Political situation is another important macro-environment factor that influences the investment of business. 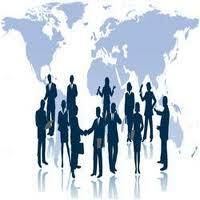 It is the geographical environment, which has a great effect on the business. We must know whether the country is always under threat of natural calamity or not. In our business we are very much aware about our own culture and tradition as well as for the foreign country. Religion, values, norms, behavior, beliefs or other socio culture, like, superstition, might affect the product in marketing. Before entering the market we need to specify, who our target market are based on demographic, Psychographic, behavioral, Geographic criteria. Guava Juice products primary target market is the house hold individual and the various health institutes that concerns with the health care sectors. The threat of substitute products, the threat of the entry of new competitors, the intensity of competitive rivalry etc should be concerned. Important step in adapting a product to a foreign market is to determine the degree of newness as perceived by the intended market. Whether or not a group accepts an innovation, and the time it takes to do so, depends on the products characteristics. Pricing is the most important factor of influencing the product. Depending on the pricing of the product, the sales volume increases or decreases, in most cases. So pricing should be set, depending on the sensitivity of the consumers about pricing. As promotional activities influence the prospect much, so it’s very important to apply this program on basis of the market or culture. The climate and physical terrain of a country are important environmental consideration when appraising a market. Facilitating the expansion of trade have been continuous improvements in electronic communications, like, telegraph, telephone, television, satellites, computer, and the latest is the internet. So, if we target our market in a zone where communication link is very bad, then it will be very difficult to run the business effectively or might be impossible. The Company “Palm Beverage Ltd.” is a hypothetical start-up company established on July, 2009 with a view to make the busy life easy and comfortable ensuring the best quality food products available in convenient form. In this regard our first concern was mango juice and orange juice. Then we introduced mineral water. Now at this time to enrich our product line we have tried to assess the customers’ health conscious attitudes & their demand for various health drinks. From extensive research we have found Guava Fruit juice as a promising sector. Therefore our company is trying to introduce its new product – “Guava Health Drink”. We will try to market this product in international level, depending on the analysis of controllable, uncontrollable and other factors. As we are trying to market it internationally, we must consider the domestic and foreign environment. Product feature, like, price, packaging, brand name etc. should also be emphasized. We are always committed to maintain our quality & therefore ensuring the quality product at reasonable price is our company Mission. Palm Beverages Ltd. has been operating for a year. Its products have been well received, and marketing will be the key to the development of brand and product awareness as well as the growth of customer base. Palm Beverages Ltd. offer several different health drinks, serving the growing inline beverage industry. Taxation policy: Taxation affects the pricing strategy. If government imposed tax on any products then the price of the product rises. If the product is produced in the foreign environment and the tax rate is high due to the Foreign Direct Investment, then the price of the product will be high, which is an obstacle for reaching the desired market. Increase of vat on the product: Imposes vat also increases price. Before doing the market internationally, the system or rate of imposing VAT should be considered. Government’s regulation: Sometimes government ban importing and exporting some products, which affect the business firms. So marketers should be aware of the government laws and regulation before entering in a country. Inflation situation: Inflation means an increase in the amount of money or credit available in relation to the amount of goods or services available, which causes an increase in the general price level of goods and services. Over time, inflation reduces the purchasing power of money, makes it worth less. So inflation increases the price. We will try to control the minimum production cost from the very beginning of our business. Income of the people: The demand of the product depends on the income of the people. If the income is high then people wants to buy more. So before entering in an international market, we must analyze their level of income. Political situation is another important macro-environment factor that influences the investment of business. Political stability: For any business, political stability is the most important factor. Foreign investment depends on the political stability. If the political situation is not stable it affects badly on the business firm. War: if there is any war situation then the business and industries face losses and sometimes industry collapse. Poverty: Insatiable political situation increases poverty and from the business perspective it is not profitable in any way. It is the geographical environment, which has a great effect on the business. We must know whether the country is always under threat of natural calamity or not. Our country is a tropical country and also surrounded by rivers. Almost every year flood occurs in our country. In the time of flood the transportation and communication systems are hampered. Japan is always under threat of earthquake. So considering the situation we increase or lower the supply and also we store as the situation demand. Technology is one of the important facts for achieving success in the business. We use both traditional and modern technology to produce our product, for the advertising and for keeping the records. If the country or place is like laggards, then it will be tough for the company to reach desired destination. Culture means the norms, value, and behavior of the society. It affects the business sector. In our business we are very much aware about our own culture and tradition as well as for the foreign country. Religion, values, norms, behavior, beliefs or other socio culture, like, superstition, might affect the product in marketing. So we must consider the culture, where we want to enter. A market is the set of all actual and potential buyers of a market offer.The size of a market hinges on the number of buyers who might exist for a particular market offer. The potential market is the set of consumers who profess a sufficient level of interest in a market offer. Marketers talk about potential markets, available markets, served markets, and penetrated markets. Consumer interest is not enough to define a market. Potential consumers must have enough income and must have access to the product offer. The available market is the set of consumers who have interest, income, and access to a particular offer. For some market offers, the company or government may restrict sales to certain groups. For example, a particular state might ban motorcycle sales to anyone less than 21 years of age. The eligible adults constitute the qualified available market—the set of consumers who have interest, income, access, and qualifications for the particular market offer. A company can go after the whole available market or concentrate on certain segments. So before entering international market, company must analyze the market size, potential buyers, and their interest of spending money on consumer products. As we’ve seen, the marketer’s first step in evaluating marketing opportunities is to estimate total market demand. Market demand for a product is the total volume that would be bought by a defined customer group in a defined geographical area in a defined time period in a defined marketing environment under a defined marketing program. Market demand is not a fixed number but rather a function of the stated conditions.For international marketing, it’s very important to analyze the demand forecast. Because, if the demand is not enough for the product, then quit from that country or region before investing. For this reason, it can be called the market demand function. We can think of two extreme types of markets, the expansible and the non-expansible. An expansible market is very much affected in its total size by the level of industry marketing expenditures. If the market is expansible, the go for it. A non- expansible market—for example, the market for opera—is not much affected by the level of marketing expenditures. The market forecast shows expected market demand, not maximum market demand.For the latter, we have to visualize the level of market demand resulting from a “very high” level of industry marketing expenditure, where further increases in marketing effort would have little effect in stimulating further demand. Market potential is the limit approached by market demand as industry marketing expenditures approach infinity for a given marketing environment.The phrase “for a given market environment” is crucial. Companies cannot do anything about the position of the market demand function, which is determined by the marketing environment. However, companies influence their particular location on the function when they decide how much to spend on marketing. Before entering the market we need to specify, who our target market are based on demographic, Psychographic, behavioral, Geographic criteria. For example, Guava Juice products primary target market is the house hold individual and the various health institutes that concerns with the health care sectors. In the first phase we will go for the persons with medium income. Individuals. We are going to collaborate with various departmental stores to gain the individual customer. But before that we need to analyze the level of income of that area population or prospect. Corporate customer. As we are going to bring a health drink in the market so we have a aim to go for the corporate deal with various health organization, hospital, restaurant and schools. So for market expansion, we need to see the density of health organization in that area. The existence of close substitute products increases the propensity of customers to switch to alternatives in response to price increases (high elasticity of demand). It is described as market of outputs. The ability of bargaining power of customers to put the firm under pressure and it also affects the customer’s sensitivity to price changes. Other factors involve-. Differential advantage (uniqueness) of industry product. We may have to compete with the other food items as the expense of the people is very much dependent on the product. Most of our competitors are in the matured level. They have the goodwill in the market. They all have regular and repeated customer. These customers are convinced by their quality of product, price and design of products. Most of them ignored new competitor. Some of their products costs are very high. They can lower their price. New entrants with lower price and better quality of products. Nature of buying decision affects the business. In most cases, the Consumers of juice industry buy their product with a known brand, or a quality product they have already perceived. So their buying pattern can be changed by giving unique product. So we need to know the buying decision pattern of consumers. We also consider the matter of health and nutritious consciousness of the people. Now a day, people are getting educated and the various promotional campaigns launched by the government to build the awareness among the people to take such healthy food. As a result the people are getting concern regarding health and the food habit had got a huge change. There are some classes of peoples who spend a lot of money for drinking. We need to target them. For that class, product quality has a big influence which should be ensured and maintained. Life style has a big influence on products demand. Personality affects on the choice of product. That’s why brand name and image is very important. So, huge promotion is needed for that image. Now a day, consumers seek the functional benefits of the product. So, benefits or core components of the product influence much in case of product adaptation. How frequently the consumers use drinking products have a great influence on the product. The key to marketing strategy is focusing on the newness, health and fitness, and brand awareness. All of the products or product lines offered by a firm. Some companies have a wide product mix geared toward a diverse consumer group. For example, Procter & Gamble has a product mix that includes detergents, toothpaste, Procter bar soap, deodorants, disposable diapers, coffee, household paper goods, and food products. Our company offers mango juice, orange juice, and also mineral water. Offering a wide product mix provides an opportunity to increase the amount of goods sold to each customer but has costs associated with the variety of resources (distribution, storage, marketing, etc.) required to support it. We decided to serve our customer with high quality drink through maintaining the natural nutrition & vitamin level. The production process of this health drink completely ensures the use of 100% natural Guava Fruit Pulp. To ensure the high quality drink we follow the BSTI approved formula, ISO standardization, and they also certified our drink. We decided to bring the juice in three sizes in terms of quantity. We will develop 250 milligram, 500mg, and 1 liter. Important step in adapting a product to a foreign market is to determine the degree of newness as perceived by the intended market. Whether or not a group accepts an innovation, and the time it takes to do so, depends on the products characteristics. Our Guava Health Drink is different from other available drink in the market. Guavas are often marketed as “superfruits”, being rich in vitamins A and C with seeds that are rich in omega-3, omega-6 polyunsaturated fatty acids and especially dietary fiber. A single Apple Guava (P. guajava) fruit contains over four times the amount of vitamin C as a single orange (over 200 mg per 100 g serving) and also has good levels of the dietary minerals, potassium, magnesium, and generally a broad, low-calorie profile of essential nutrients. However, nutritional value is greatly dependent on species, the Strawberry Guava notably containing only 30–40 mg of vitamin C per 100g serving, a fifth of the vitamin C found in more common varieties. Vitamin C content in the Strawberry Guava is still a high percentage (62%) of the Dietary Reference Intake, however. Changing flavor or fragrance is often necessary to bring a product in line with what is expected in a culture. So depending on the culture, drink might be modified. Packaging is a very important factor. As most of the countries are aware of environmental issues, so it’s better to use disposable packages. Moreover, consumers look for the product feature or ingredients on the packet. Sometimes it is required to print labels in more than one language. Furthermore, country of origin has a big effect on the influence of buyers’ decision. Care must be taken to ensure that corporate trademarks and other parts of the packaging component do not have any unacceptable meaning. Particular attention should be given to translation of brand names and colors used in packaging. Brand equity is created through aggressive mass marketing campaigns. Good examples of companies with strong brand equity are corporations such as Nike and Coca-Cola, whose corporate logos are recognized worldwide. That is attractiveness and familiarity of a Brand Name in the general marketplace. Brand equity permits companies to charge premium prices for products and services, contributing to increased profit margins. Brand equity is therefore a valuable asset that companies invest huge amounts of money to develop. The basis of brand equity lies in the relationship that develops between a consumer and the company selling the products or services under the brand name. A consumer who prefers a particular brand basically agrees to select that brand over others based primarily on his or her perception of the brand and its value. The support services include instructions, deliveries, availability of product etc. For example, our instruction for Guava Health Drink is to shake the drink, before drinking. We will try to make it available in the retail stores and in the health organizations. Literacy rate and educational levels of a country may require a firm to change a product’s instructions. A simple term in one country may be incomprehensible in another country. In rural Africa, for example, consumers had trouble understanding that Vaseline Intensive Care lotion is absorbed into the skin. Absorbed was changed to soaks into, and the confusion was eliminated. So support service has great influence on the product. Pricing is the most important factor of influencing the product. Depending on the pricing of the product, the sales volume increases or decreases, in most cases. So pricing should be set, depending on the sensitivity of the consumers about pricing. Pricing is the most important tool for capturing the market. Let’s say, we are going to do business in USA, there are various kinds of drinks at a price range of 20-25 cents. If we charge our drink at a rate of 1-1.5 dollar, it won’t work. So pricing should be done very cautiously. Pricing objectives or goals give direction to the whole pricing process. Determining what our objectives are is the first step in pricing. When deciding on pricing objectives you must consider: 1) the overall financial, marketing, and strategic objectives of the company; 2) the objectives of our product or brand; 3) consumer price elasticity and price points; and 4) the resources you have available. The pricing method we select provides direction on how to set our product price. The way we set prices in our business will change over time, for many reasons. As we learn more about our customers and competition, we may decide to change your pricing method. Use changes in the industry or the development stage of our product as an indicator that it’s time to review our pricing strategy. We are a new comer in the market, but our product is very much unique in the market and the market has a quite a high perception about our product. So we don’t go for the cost base pricing which is mostly used for new product. We are going to use the value based pricing. For the 250ml bottle we are going set price 25 cents. Value based pricing, or Value optimized pricing is a business strategy. It sets selling prices on the perceived value to the customer, rather than on the actual cost of the product, the market price, competitor’s prices, or the historical price. The goal of value-based pricing is to align price with value delivered. Price for any individual customer can be customized to reflect the specific value delivered. Value based pricing typically enables companies to become more competitive and more profitable than using simpler pricing methods. As promotional activities influence the prospect much, so it’s very important to apply this program on basis of the market or culture. We are going to launch an extensive promotional campaign as we choose value base pricing. The rationale behind using this pricing strategy is that we are the pioneer of making Guava Fruit juice, so we can easily charge value based pricing. In our promotion strategy our main focus is extensive amount of TV commercials. By watching TV ads consumers get attracted. Beside this we will also highlight the use of newspaper and billboard advertising. As an effective promotional strategy we can also provoke the customers through in-store advertisement. We will use both the push-pull strategy in our promotional efforts. A promotion might be a short-term price reduction, contest or sweepstakes, package giveaway, or free sample offer, which will bring consumers to try at least for one time. A promotion might also be a single mailing within a direct mail campaign or series of advertisements that make up part of an ongoing print advertising campaign. Above all, in short, we can say, before implementing the promotional programs, we need to consider the psychological factors of the consumers. Depending on the market, TV commercials or billboard should be made. Marketing managers use different components of the promotional mix as tools for achieving company objectives—advertising, personal selling, public relations, and sales promotion. Each of these elements can be further divided into additional subcomponents or strategies. The majority of a company’s promotional resources are usually spent on these four elements for a simple reason: Companies perceive these methods as the most effective means to promote their products. At the beginning stage we need to adapt the selective distribution strategy. Later on we will try to expand the market. As elements of geography, the climate and physical terrain of a country are important environmental consideration when appraising a market. South America represents an extreme but well-defined example of the importance of geography in marketing consideration. In terms of the geographical characteristics of the area, it is a continent 4500 miles long and 3000 miles at its broadest point. 48% of its total area is made of forest and jungle. In Colombia, for example, mountain ranges are a major barrier to travel. Such physical barriers can pose serious impediments to economic growth and trade. So before entering into the international marketing, topography should be judged carefully. Otherwise, distribution will be seriously hampered. Successful value creation needs successful value delivery. Instead of limiting our focus to the immediate suppliers, distributors, and customers, we are examining the whole supply chain that links raw materials and manufactured goods and show how to move toward the final customers. To ensure effective of the product marketer need to go through the distribution channel on a contractual basis in the preliminary stage. After reaching the initial goal, when we will be able to reach break even point, we’ve a plan to establish our own distribution network. An underpinning of all commerce is effective communication-knowledge of where goods and service exists and where they are needed and the ability to communicate instantaneously across vast distances. Facilitating the expansion of trade have been continuous improvements in electronic communications, like, telegraph, telephone, television, satellites, computer, and the latest is the internet. So, if we target our market in a zone where communication link is very bad, then it will be very difficult to run the business effectively or might be impossible. For example, think the zone we entered, where there is no internet or cell phone service, if there is a sudden increase of demand of the product, and then we won’t be able to know the demand instantly, because there is a huge gap in communication links. So before entering into the international market, communication link must be judged. The growing globalization of markets that gives rise to standardization must be balanced with the continuing need to asses all markets for those differences that might require adaptation for successful acceptance. The premise that global communications and other worldwide socializing forces have fostered a homogenization of tastes, needs, and values in a significant sector of the population across all cultures is difficult to deny. Each product must be viewed in light of how it is perceived by each culture with which it comes in contact. Analyzing a product as an innovation and using the product Component Model may provide the marketer with important leads for adaptation. By – Cateora and Graham. Assignment on Marketing Plan of Swift Sugarcane Juice.